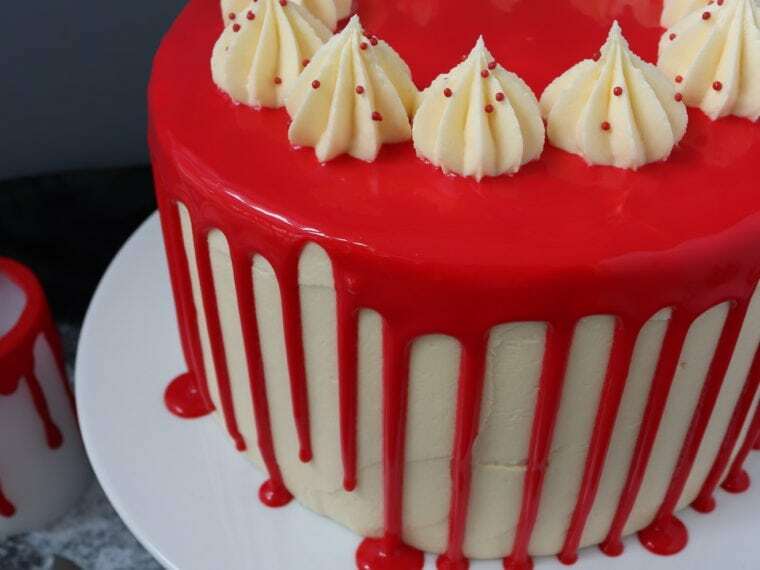 My favourite baking show was back on TV last week and I was excited as always to see who the new bakers were and what challenges they would be faced with. I actually applied for GBBO this year, but when they called me I turned into a bit of a bumbling idiot and rushed my answers. I think the excitement and nerves got to me! If I decide to apply again next year, I will definitely be remembering to calm down and take my time. There is a real variety amongst the bakers this year in terms of backgrounds and experience, we’ve got a prison officer that likes to make sugarcraft flowers, an anaesthetist that likes to inject his cakes, and a body building Lithuanian woman. I think this year is going to be a lot of fun! 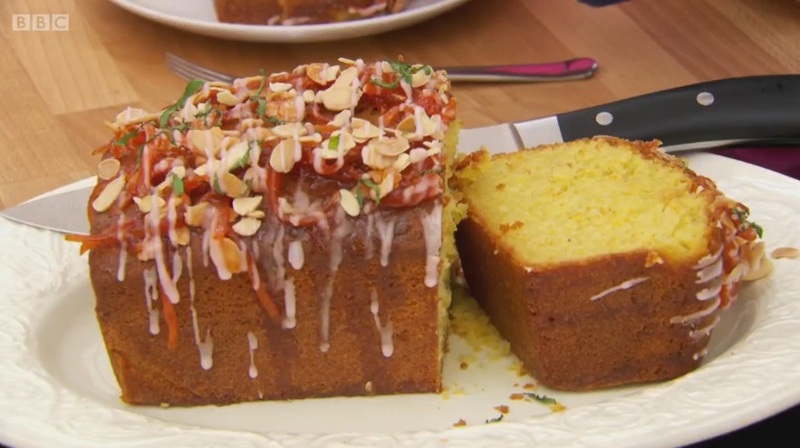 For the first challenge the bakers were asked to make a Madeira Cake. A very simple cake, of which Mary is a huge fan. She wanted to see a dome on the cake with a crack in the middle, and didn’t want the bakers to stray too far from the classic flavours as it can’t be beaten in her eyes. 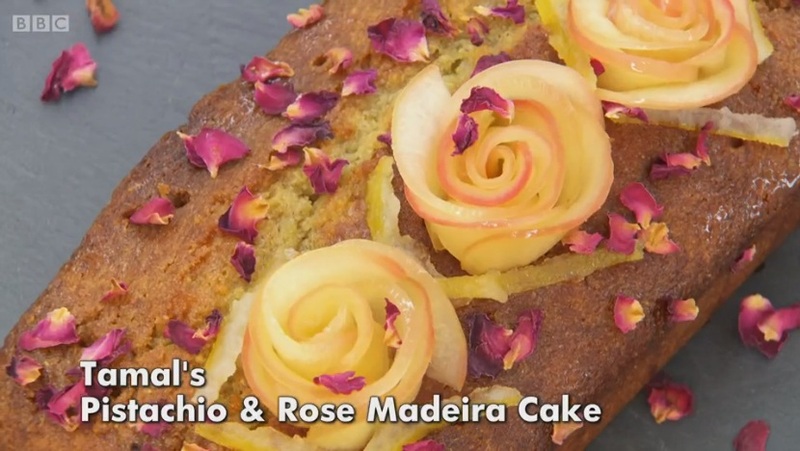 Madeira Cake is traditionally flavoured with lemon and a lot of the bakers opted for citrus fruits for flavouring, as well as making candied peel to decorate. Ugne paired lemon with thyme, Nadia paired orange with cardamom, and Ian paired lime with rum and ginger – all with varying results! Paul and Mary were not pulling any punches with their judging in the first round. 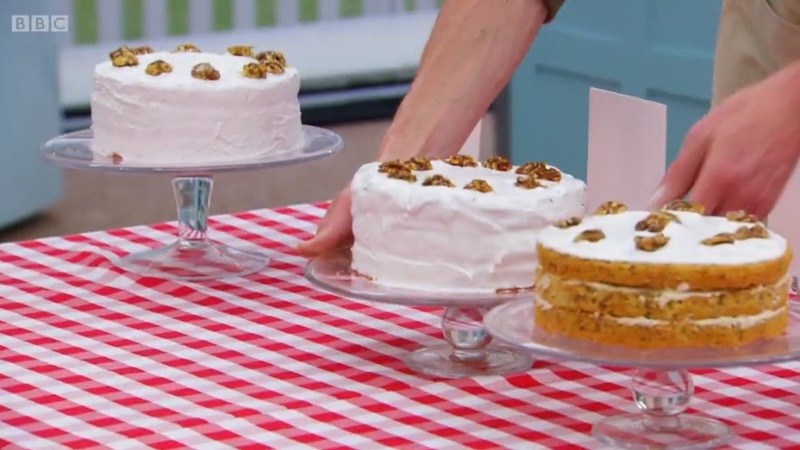 For the technical bake the bakers were asked to make Mary’s classic Walnut Cake. For me this was horrifying as I can’t stand walnuts! It was also pretty complicated for a first time technical. 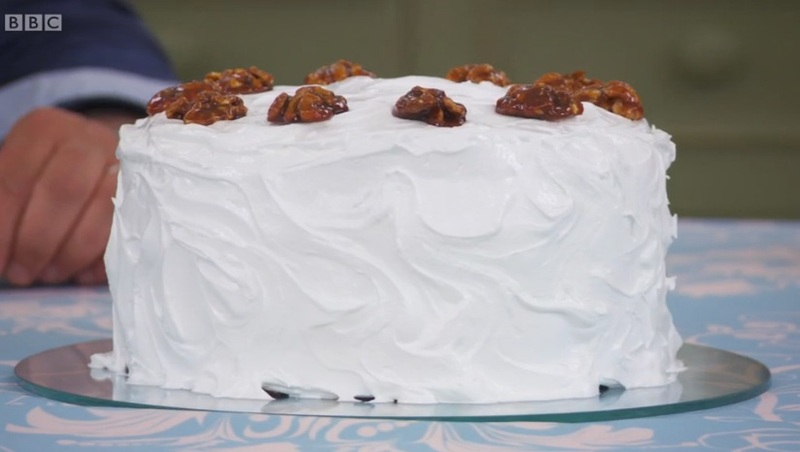 They had to make sure the walnut pieces were evenly distributed throughout the sponge, that the frosting was spread in an even layer all over the cake, and they had to caramelise sugar to dip walnuts in for the decoration. Caramelising sugar can be tricky, my first time doing it was a disaster! Alvin and Stu both had a lot of trouble making caramel, Nadia didn’t ice her whole cake, and several of the bakers had problems with grainy frosting. Stu and Nadia came bottom, Marie came third, Alvin second and Ugne first. 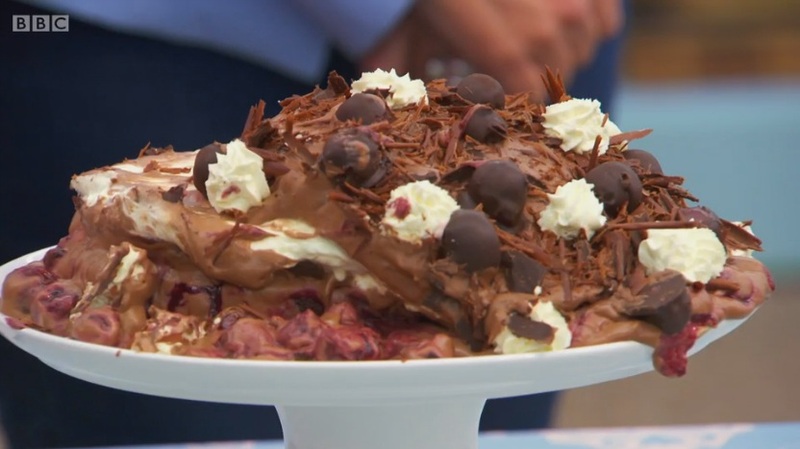 The final showstopper challenge was a Black Forest Gateau. Mary wanted to see something special which included chocolate work. 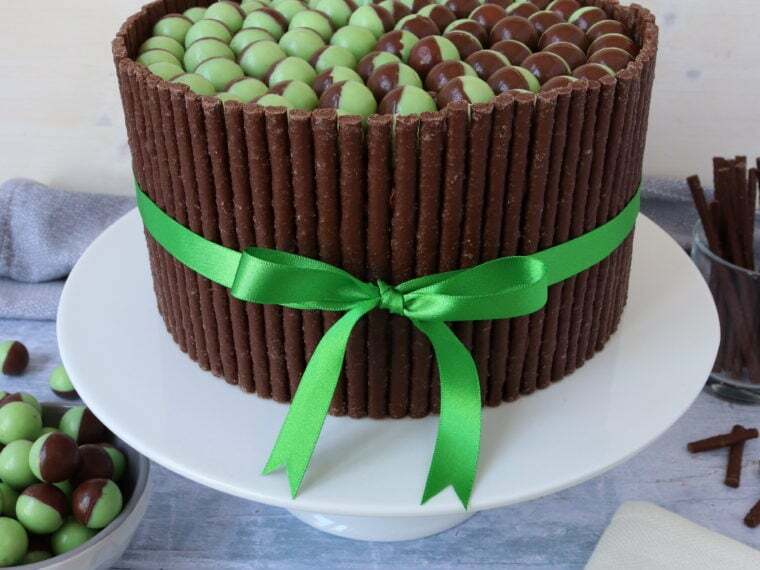 Paul wanted a light sponge, chocolate in particular. Stu got a bit controversial by using beetroot in his sponge. Ian decided to show off his macaron skills. Tamal made a tempered chocolate collar for his cake and several of the bakers made chocolate tree decorations. I was really impressed by everyone’s skills and creativity. If this is the standard already, I’m excited to see what else they come up with as the series progresses. Dorret had a disaster with her chocolate mousse as it did not set, she was very upset but Sue did an excellent job of comforting her. I bet the camera crew had a great time devouring all 12 cakes once filming finished! Marie won star baker this week. I’ve heard some ‘controversy’ recently about her having professional training, however upon further research I found out she did one pastry course back in 1984… So I think we can let her off with that! The first baker to leave us was Stu. I felt really bad for him as he is clearly a very talented baker who just had a bit of bad luck. He was perhaps a bit too alternative for Mary and Paul! Check out his blog The Alternative Kitchen. Next week is biscuit week! I decided to make Mini Black Forest Cakes this week for my bake along, however I miniaturised them! I’ve never made anything Black Forest before and I really don’t know why not. 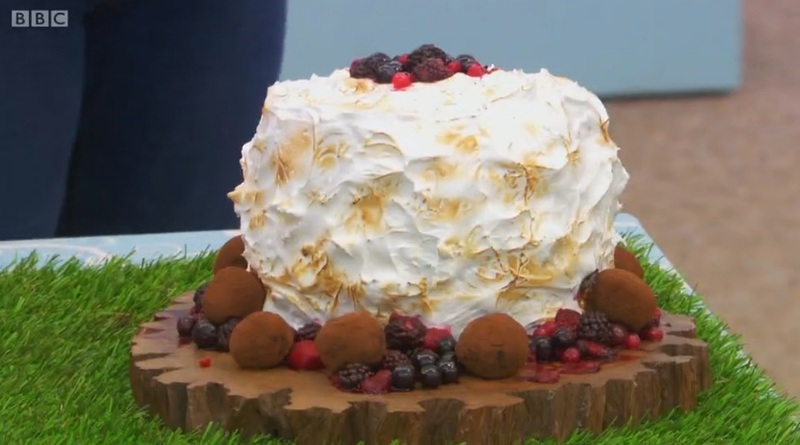 I mean, chocolate, alcohol, cream and cherries – bliss! So I headed to Aldi to get my ingredients for this bake as they contacted me recently to let me know about their selection of baking ingredients. I used to shop there a lot in the past, but I don’t get the chance much these days. Which is something I need to remedy as their baking ingredients are great quality and such a bargain! I particularly like the cupcake cases. To start I whisked together eggs and caster sugar. I whisked for 5 minutes until the mixture grew in size and was pale and thick. I gently folded in self raising flour and cocoa powder that I sieved first. Finally I folded in melted butter. I poured the mixture into a lined tray, any baking tray with a lip will work, but a Swiss Roll tray would be perfect. I baked the sponge for 12 minutes, then I turned it out onto a cooling rack to cool down completely. Once fully cool I cut out discs using a 7cm diameter cutter . I got enough for 7 mini cakes. I brushed kirsch over the cake half that would be the bottom layer, which is cherry liquor, and I found this bottle in Tesco. Next I whipped up double cream and piped it onto the bottom half of the cakes. Then I sliced some cherries in half and put three halves onto each cream topped cake. I brushed the underside of the top layer of cake with a bit more kirsch then placed it on top. Then I piped on more cream, sprinkled over some grated dark chocolate and placed a cherry in the middle. I was really impressed with the final look of the Mini Black Forest Cakes! I took them along to a family meal and everyone loved them and commented on how professional they looked. I devoured mine and could’ve eaten another easily! 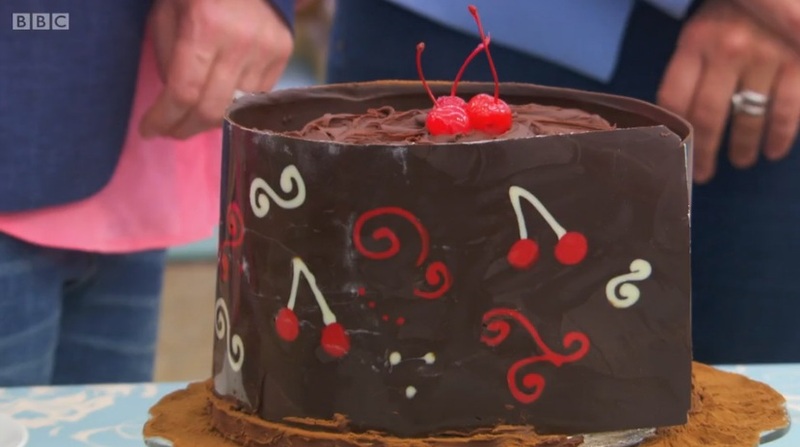 The sponge is so light and the cherries, which were from Aldi, were gorgeously juicy. I had a few problems with some of the Mini Black Forest Cakes being a bit wonky, I think extra cream on top of the cherries in the middle would’ve helped the sponge stick to it more. I’ll also add more kirsch next time as I think it could’ve been stronger, but that depends on personal taste. I'd gladly have a couple of those now, love cherries and love retro bakes – so BFG is a firm fav! 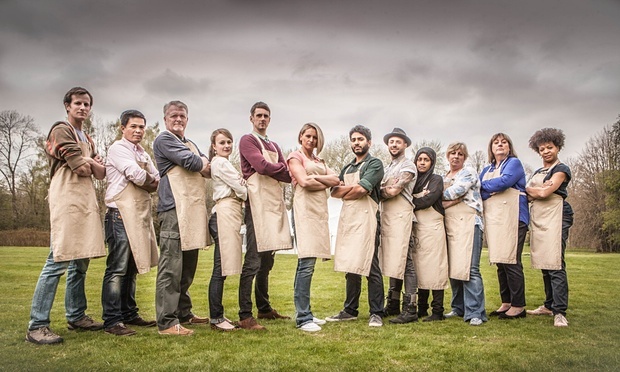 Hurrah for the return of the GBBO! I wanted to bake a black forest cake but sadlymy oven died 🙁 Love your mini versions, yum! Yay so glad it's back! Hope you get to make one soon! Thanks so much Rachel! I hope you enjoy the rest of my GBBO bakes this year 🙂 please let me know if you try any yourself! These look super cute and very pretty Kat. BFG was a first for me too this month. No idea why as it's so delicious. 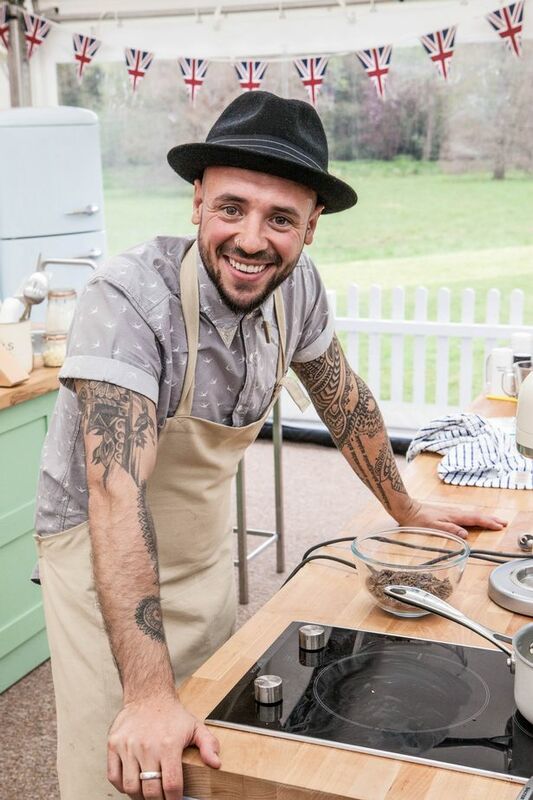 Would be very excited if you made it through to GBBO, would be great to be rooting for someone we know.